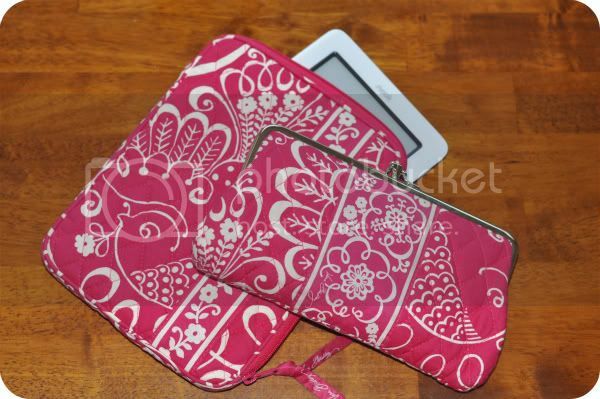 A couple of weeks ago, she mentioned she’d picked up a Vera Bradley case for her Nook. I didn’t love the specific print she chose, but I really envied the case because it was soft, stylish and would protect my Nook if I accidentally dropped it. She promised me they’d have plenty of prints I’d approve of. So, I put my hatred of tacky prints aside and went to the local Vera Bradley store with her on my lunch break. I immediately liked the store upon entering. It was pretty, organized and the employees were extremely welcoming. Yes, it was a little scary at first. There were prints, prints, prints from one corner of the store to the next without a solid color in sight. I looked at the Nook cases and found a pattern I could live with. I walked around and realized they had a lot of stuff I liked. I don’t know that I’ll ever carry a gigantic, printed bag, but I could definitely go for some printed accessories. And, that’s exactly what I did. I ended up leaving the Vera Bradley store with not one, but TWO items. I got the Nook case and matching clutch wallet in the fabulous Twirly Birds print. Today, I’m going to share my newfound love of Vera Bradley with you! 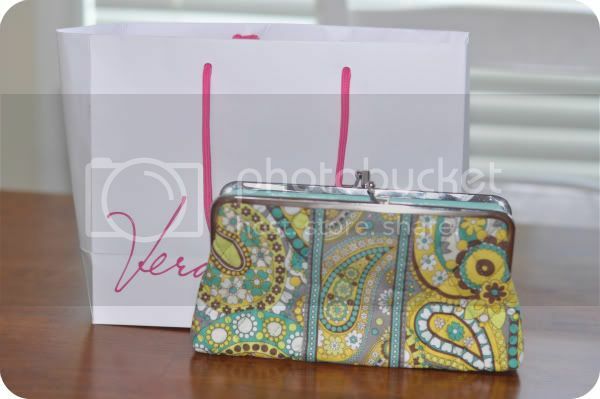 I have this clutch wallet to give away in Vera’s lovely Lemon Parfait print. Visit the Vera Bradley site and tell me what else you love. Follow Handbags & Handguns via Google Friend Connect. Like Handbags & Handguns on Facebook. Blog or tweet about it. Leave a separate comment for each. The giveaway will be open from now until Friday at 7:00 pm CST. The winner of the giveaway will be announced Saturday, April 9... MY BIRTHDAY! I ♥ my nook color!!!! I actually just ordered a custom padded, waterproof, minky fabric lined case from etsy otherwise I'd be all over those!! I am LOVING the Undercover Laptop Skin in Baroque! Adorable!!!! I'm a follower on google friend connect! of course! and I could totally go for one of those messenger bags for work! I mentioned your giveaway in this post! 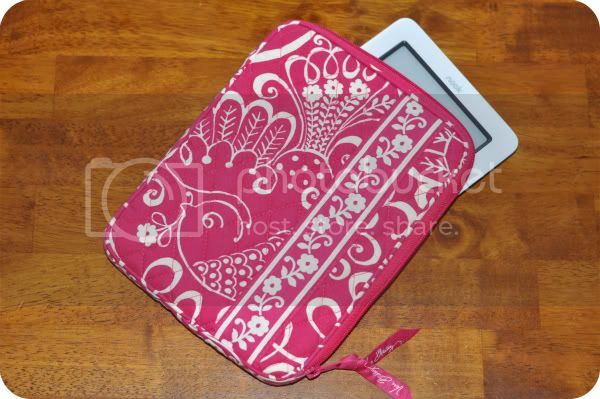 Love the nook cover you picked, the pink is so pretty. I actually LOVE Vera Bradley, big gaudy prints and all. I have big bags, little bags, duffel bags. But you are right, there are some patterns that are...not so pretty. I'm loving the new patterns, but I think what I want most is a pair of the flip flops for summer. And when I list all this out like this I sound a little like a stalker. Eh. I'll admit it, I LOVE Vera Bradley. I recently bought a tote in a super FLOWERY print. I guess I'm a sucker for cotton totes that can be easily washed and a pop of color. The item I'm coveting right now is a Large Duffle bag. I could totally pack some stuff away in that and head away for a weekend. I love the Lemon print too! I love their "Ditty" bags. I have been trying to choose what pattern to get! I follow & I love viva la vera in a tote! I love the Clutch Cosmetic in Sand and Compact Turn Lock Wallet in Red with White Stripe. Plus, that adorable clutch wallet you're giving away! I follow! I love all of their makeup bags and have three. Liking the English Meadow pattern too! Thanks for the giveaway! The clutch wallets are my fav, fav, fav!! They hold so much junk! What a great giveaway! I love VB's netbook covers. Twirly birds is one of my favorite patterns!! I also have you in my google reader!! The "Julia" sunglasses are SO cute! I'm already a follower of Handbags & Handguns! I'm a twitter follower as well! I love the Imperial Toile print - I have the mailbag in it, but would take a Lisa B! I always liked VB but until recently had not taken the plunge. HOLY CUTENESS!! For not liking pattern you picked a great one and I love the small prize bag, so cute. I'm smitten with yellow. In looking at her website I never realized how much Vera had to offer - I am floored by the Jewelry Purse - it's a mini carry one thing to hold your jewelry when you travel. No more tangled necklaces? YES PLEASE! I also stalk you everywhere - here, facebook, twitter! So clearly I love following you! I'm really surprised at you, Hotpants! i love the Twice as Nice Cosmetic Clutch in Folkloric! I like the lemon parfait tote. Cute! I have the wallet in very berry paisley and I LOVE the colors! Thanks for the chance to win! I love the Vera Bradley duffle bags! I like the convertible mini hipster bag. Thanks for the giveaway! Vera Bradley is awesome. 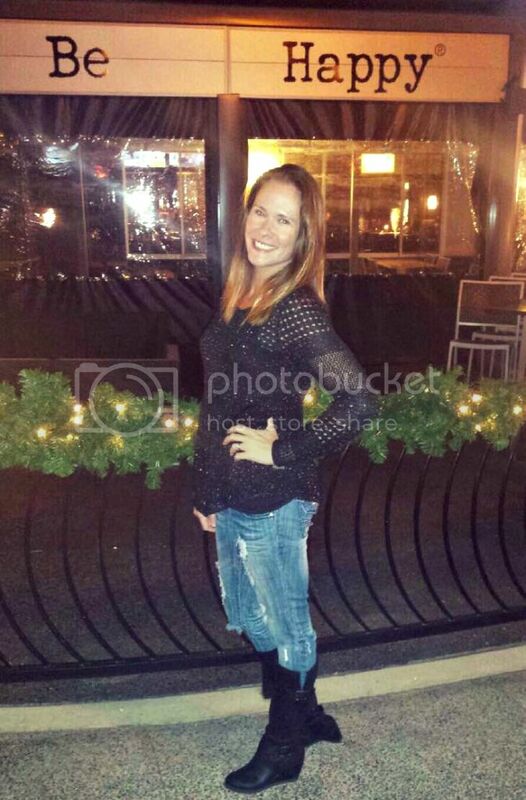 I totally dig that clutch wallet! Something else I love is that tech pocket in boysenberry.